The Prince Regent’s Band celebrate the launch of their new disc “Russian Revolutionaries” with a performance of repertoire from composers associated with Tsar Alexander III, an amateur brass player. The Band perform on a collection of early 20th century instruments including French cornets and Russian/German-style alto and tenor horns, creating a vastly different sound world to that of the modern brass quintet. The Prince Regent's Band will be performing programmes of Victorian festive music in the Queen’s State Apartments, Kensington Palace every day from 11.30 - 11.45, 12.15 - 12.30, 13.30 - 13.45 and 14.15 - 14.30. 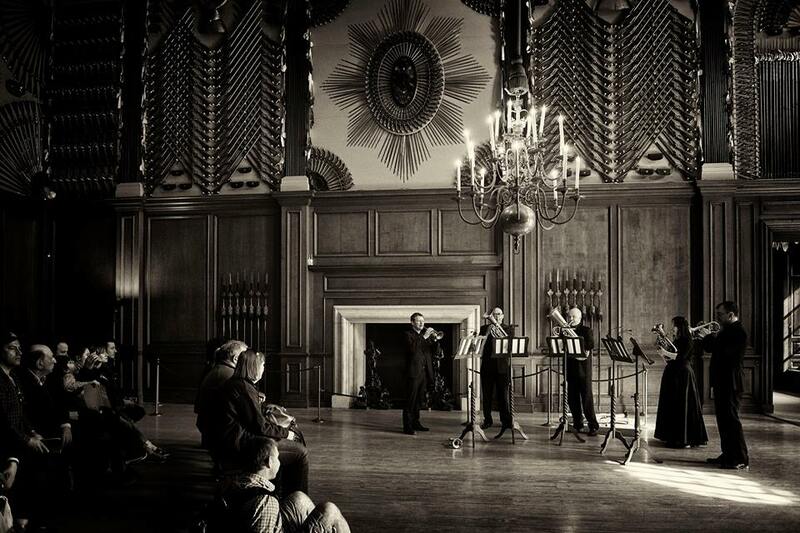 Marking the release of their debut disc, "The Celebrated Distin Famiy" (Resonus Classics), The Prince Regent's Band return to the Holywell Music Room with a programme showcasing the music performed the Distin Family, by one of the most famous chamber music ensembles of the 19th century. The Prince Regent's Band will be performing this programme using a rare collection of saxhorns all dating from the nineteenth century which include instruments from Oxford's internationally renowned Bate Collection. Part of the Sypert Summer Concert Series, 2014. Tickets: £14 /senior citizens £10 / students and unwaged £5. Available on the door or from the Queens' Hall Box Office, 85-89 Clerk Street, Edinburgh EH8 9JG. A concert in collaboration with The Bate Collection, Oxford.